When Disney bought Lucas Arts and announced that the Star Wars Extended Universe would be considered “Legends” and not part of the canon universe, many of us die-hard fans of Grand Admiral Thrawn grieved. Yet when Star Wars brought Thrawn back into the fold with his inclusion in Star Wars: Rebels Season 3, we were hesitant to bust out the confetti just yet. This was a character beloved by many since his debut in Heir to the Empire written by Timothy Zahn back in 1991. Many questions sprang to mind: Would Rebels butcher his character? Would he live up to the expectations of devoted fans? Would he still be that cunning red-eyed warrior that always seemed to be one step ahead of the Rebellion? For me, it was not until Episode 5 of Season 3, “Hera’s Heroes”, that I was able to jump up and down for joy. The moment he said the word “art”, I knew he was back. Thrawn had risen from the ashes of Legends, his military acumen and love for art completely intact. 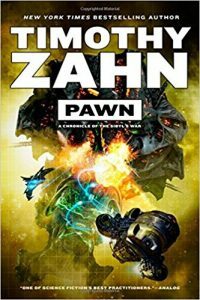 Timothy Zahn returned to write a canon book that addresses Thrawn’s rise from an exiled Chiss on a remote world to a Grand Admiral of the Imperial Navy aboard the ship, Chimera. (Yes, his ship came back from Legends too!) I was fortunate enough to talk with Timothy Zahn at about this new book, Thrawn, at Phoenix Comicon, and gained some insight on Rebels characters such as Governor Pryce, new characters like the Wild Space-born Eli Vanto, and the Grand Admiral himself. When being asked to write Thrawn did you have to go back and research your own materials from the original trilogy before diving in? Not really. I spent enough time with Thrawn that I pretty well understand the character. It was just the challenge of putting him into a new situation. He’s not in ultimate command as he is in the original trilogy so he has to deal with politics and superior officers and things of that sort. 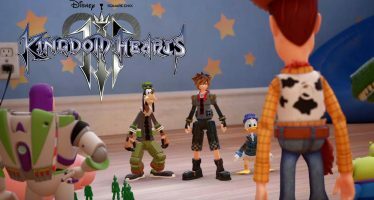 So it’s the same character just in a different environment. 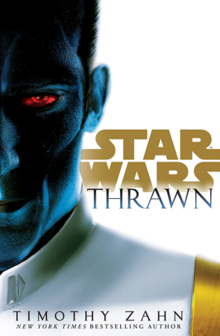 For all Thrawn’s tactical brilliance, the book addresses that he is naive when it comes to political warfare. Was this a new character development for Thrawn or something you envisioned when you first created him? It’s nothing I envisioned, but it made sense when it was suggested to me that he is not used to the politics of the Empire; he’s not used to military politics. He never really had to deal with that in the original trilogy so that’s something you didn’t see from him. And it made sense that if he is going to be in some ways an ally to Governor Pryce then it makes that Pryce and, even Eli Vanto, are better politically competent than he is. Not necessarily savvy as they are growing up to, but Pryce has a natural talent ability for it. Yes, they are growing up as well, true. Eli Vanto is an amazing new character. He’s loyal and has a unique insight being a Wild Space kid in an Imperial world. What was your inspiration in creating him? Whenever I am doing Thrawn, I need someone to be kind of the Dr Watson to his Sherlock Holmes, it’s the everyman that the reader can see through their eyes. I wanted a dynamic of someone who is kind of growing through the ranks with Thrawn; ambivalent about this whole thing, he has his own career sidetracked and not sure how he feels about that and just gradually learning who this guy is, what his strengths are and being in some ways having your career anchored by him is not such a bad thing. Eventually – Eventually, but again for the everyman, if you and I were dragged out of what we thought we wanted to do with our lives for what we thought wasn’t a very good reason, we would probably also be resentful and questioning and wondering and it would take awhile for us to realize this is not a bad thing that’s happened to us. Governor Pryce is a fantastic villain with few redeeming qualities in the show Rebels, in Thrawn however, I found myself rooting for her at times as she climbs the rank to Governor. What kind of creative license were you given to create her background? Pretty much they let me do what I wanted to. Her starting point got changed by the first draft. They thought she was a little too naive the way I had written her. And I think my approach would have worked if we’d had two or three more year of her growth to work with. The thing was, given the timeframe we were working with, I decided they were right, she needs to be a little more anxious to get off Lothal and such as she was in my original draft. So, as in many, many cases with anything you do in Star Wars, it becomes a bit of a group efforts. The story group had some ideas, my editor at Del Rey had some ideas and ultimately, putting all that together made for a better book than what i started with. How involved were you in the inclusion of Grand Admiral Thrawn in Rebels? Pretty much nothing at all. By the time they were able to tell me, Season 3 was well into production and especially with an animated series, the lead time is pretty big because you have to do all the animation after you do the scripts and dialogue and all. So I really didn’t have a hand in that. What I did get was access to the scripts that Thrawn was in as I was writing so if there is a scene where Governor Pryce is doing hand-to-hand combat. 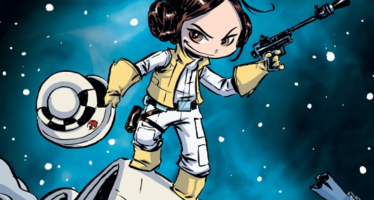 Knowing the book Thrawn is a prequel, I could put in a setup as to why she wanted to learn some martial arts and things of that sort. Some of the things Thrawn did, I could put seeds or foreshadowing or set up in the book. One of the advantages of a prequel is you get to do that sort of thing. And it was absolutely seamless. Thank you. I read the book (twice) and immediately watched Rebels again and it was like watching the show through new eyes. I have submitted a couple of proposals to Del Rey. Everything is currently winding its way through Lucasfilm right now. And Lucasfilm, first of all, is very busy with the things leading up to the next movie, but also part of the question is: What are they doing in the future with characters and with scenarios, whether what I want to do will fit into that. And until they have that all nail down I can’t necessarily find a storyline that’ll fit in with what they are doing. The wheels at Lucasfilm turns slowly, but exceedingly fine, as they say. Are there any non-Star Wars projects you are currently working on? I started a new series called Sibyl’s War: the first book Pawn came out this month. I have the third collaboration with David Weber, The Manticore Ascendant book that comes out next March and my final Cobra book comes out next January. So I have several projects in the works. I really appreciate you sitting with me today. Thank you very much, Mr. Zahn. No problem, thanks for having me on!